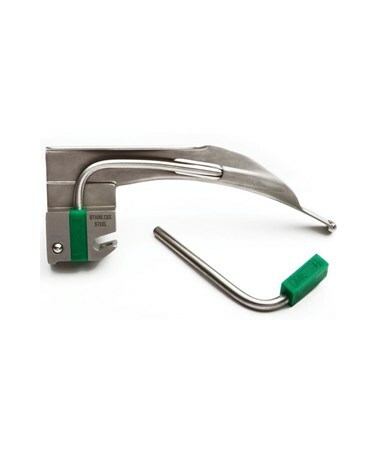 The ADC Macintosh Fiber Optic Laryngoscope Blades offer quality and value for the discerning physician. They are finely crafted of stainless steel construction with a satin, non glare finish. The fiber optic light provides a cool, distal light with obstruction and reflection free viewing. The blades feature a 2.5v Halogen illumination for true tissue color and long lasting lamp performace. The light pipe is removal to facilitate easy cleaning. The blades are color coded green to ensure that they are only used with fiber optic handles. Available in a variety of sizes. The Macintosh blades are the most popular of the curved blade designs. 4070F-Size0 PreemieOverall Length: 80 mm Inside Length: 55 mm. 4071F-Size1 Infant Overall Length: 92 mm Inside Length: 67 mm. 4072F-Size 2 Child Overall Length: 108 mm Inside Length 83 mm. 4073F-Size 3 Medium Adult Overall Length: 126 mm Inside Length: 101 mm. 4074F-Size 4 Large Adult Overall Length: 155 mm Inside Length: 134 mm. All ADC products are assembled, package and inspected in the USA. 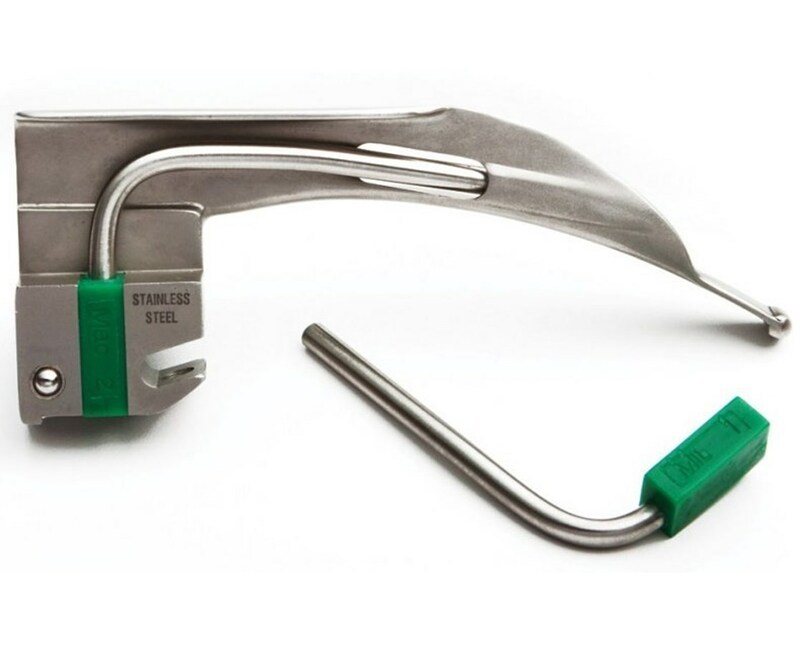 The Fiber Optic Macintosh Laryngoscope blades come with a generous 1 year warranty. Stainless steel construction with Satin non-glare finish. Fiber optic light transmission provides cool, obstruction,free viewing. 2.5v Halogen illumination for true tissue color and longlasting lamp performance. Removable light pipe facilitates cleaning and service. Color coded green to signify compatibility ONLY withfiber optic handles.